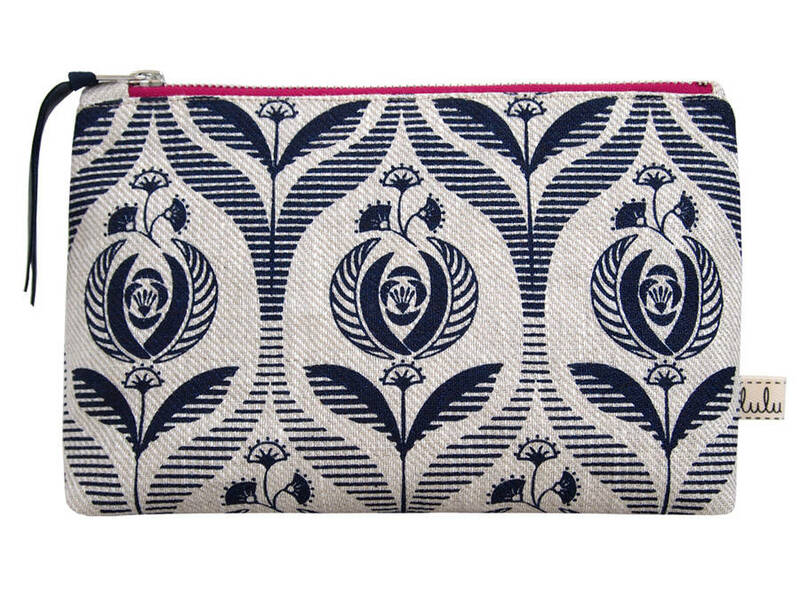 Art Deco rose print make up bag in navy blue with fuchsia pink and silver ykk zip. 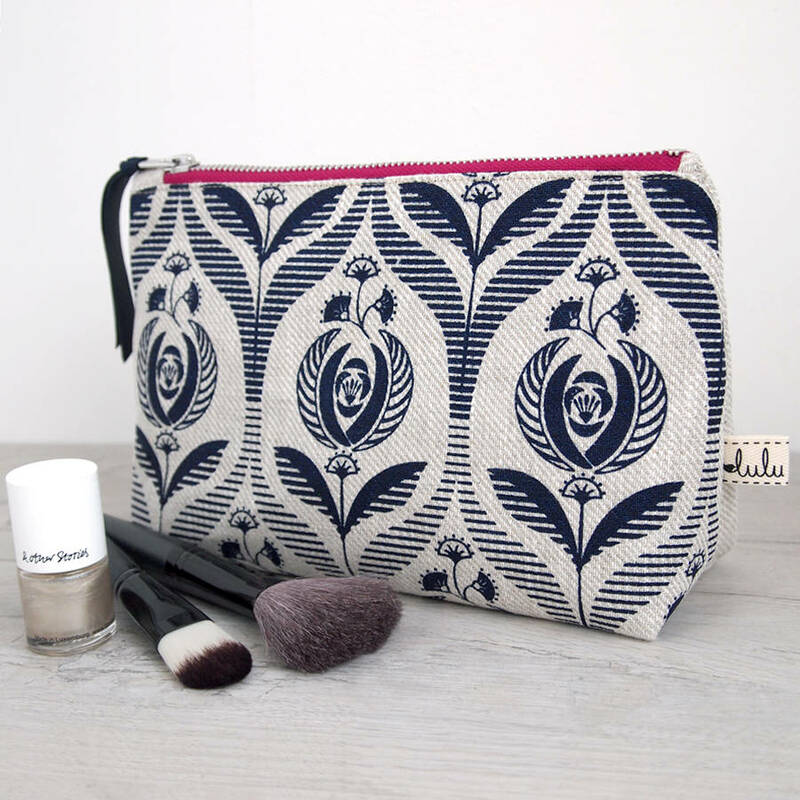 This cosmetic bag is hand-printed in Navy blue onto 100% natural linen, the back is plain linen and the lining is navy colour cotton. 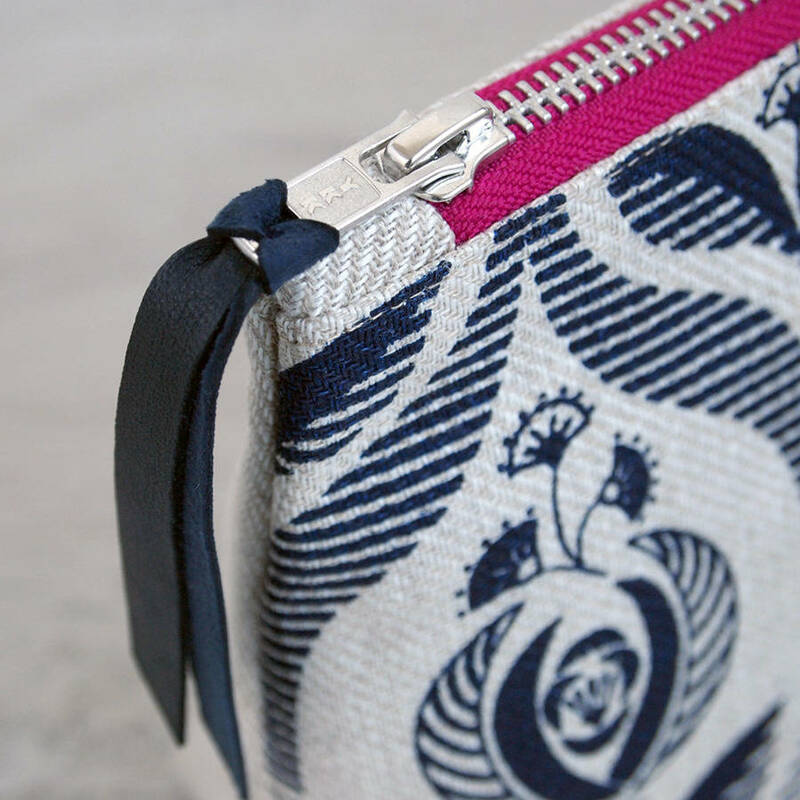 Features a navy blue leather trim tied through the zip.